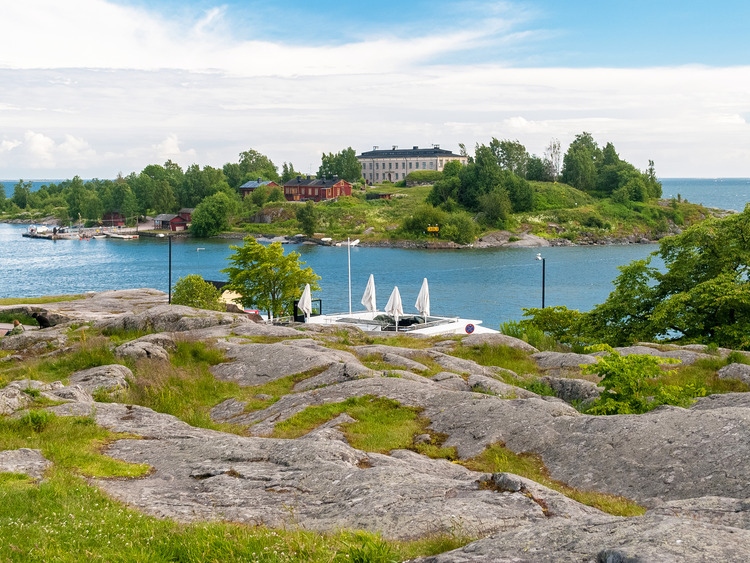 Discover the history and architecture of Helsinki on this unmissable city tour. Once we have left the port, we will head towards Senate Square and then on to Market Square and Kaivopuisto Park, the oldest and most famous park in Helsinki that is extremely popular with locals. Along the Mannerheimintie, we will visit the Lutheran church of Temppeliaukio, the Rock Church, a modern masterpiece built inside a rocky hill, an unmissable example of rock architecture. The Mannerheimintie is rightly considered Helsinki's main street. Staying on it throughout, we will be able to see: the Parliament, the scene of many crucial moments in the political life of the nation, the National Museum, Finlandia Hall, an important conference centre that plays host to all kinds of events and is well-known for its famous architect Alvar Aalto, and finally the new Opera House. Passing the Olympic Stadium, famous for hosting the 1952 Olympics, we will finally reach the controversial Passio Musicae, a monument dedicated to the Finnish composer Jean Sibelius and an abstract structure made of 600 empty steel tubes that resemble organ pipes. The meaning behind this monument is still very much up for discussion among the Finns: there are those who say that the sculptor Eila Hiltunen intended to recall the Northern Lights; others think it looks like ice crystals, some think it is a giant organ, while others find references to Nordic forests in it. It appears that the artist had no particular intention in mind, and, while commemorating the life and works of Sibelius, she also wanted visitors to be able to bring their own meaning to the work. Before returning to the ship, we will have some free time for shopping. The itinerary may be subject to change.Space is limited, so please reserve early. Suitable clothing is recommended for entrance to places of worship. We will only be able to visit the Temppeliaukio church when religious services are not taking place.